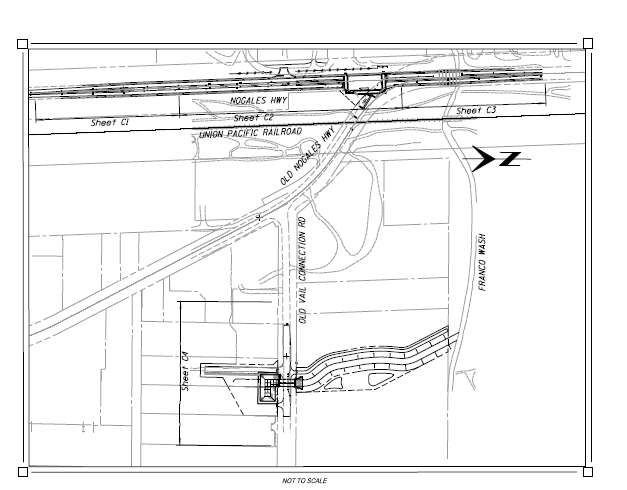 This project consists of two parts—an intersection improvement and a drainage improvement. The intersection improvement consists of adding a traffic signal at the intersection of Nogales Highway and Old Nogales Highway. The drainage improvement consists of a new box culvert under Old Vail Connection Road approximately 500 feet east of Old Nogales Highway.